Adam's basketball team won the tournament that they played in last weekend which means they made it to the final 4! That also means that the day after we had to have a big championship breakfast! 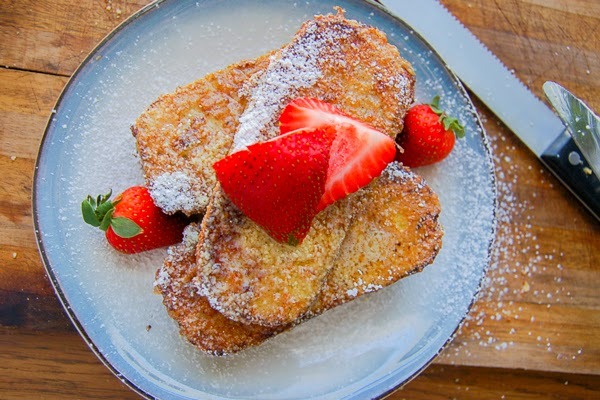 We made some delicious french toast a while back, and the pictures turned out fab. So, I thought I'd share it all with you! This could be my only post of the week so I apologize for that. Happily, I will be traveling to Virginia (on a bus...yuk!) to cheer our team on to the championship! I plan on bringing my camera so if nothing else next week I will do a post filled with basketball photos. Hehe ;). I used the gluten free paleo bread I shared with you guys a few weeks back as the basis for this recipe (see link below). 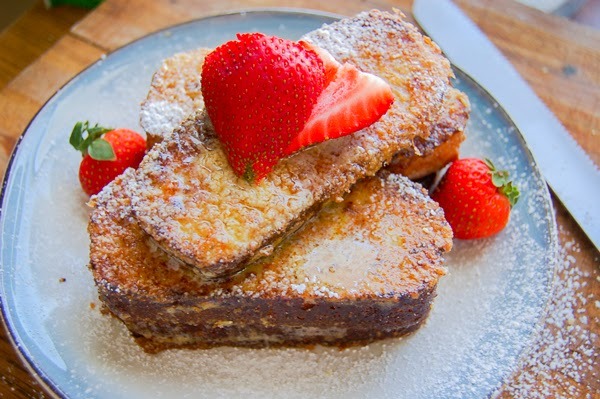 I hope to have more gluten free bread recipes posted in the future so you have more options but there were so many eggs that went into the paleo bread that the "eggyness" of the bread actually complemented the french toast. In a shallow baking pan (I use a circle cake pan) combine 2 eggs, 2 dashes of milk, 1 dash of vanilla extract, and a few shakes of cinnamon. Whip until everything is evenly mixed. On the stove or a griddle, heat your fat of choice (I used coconut oil) to about medium low. While that's heating up and melting, slice your loaf of bread into about 3/4" - 1" slices. 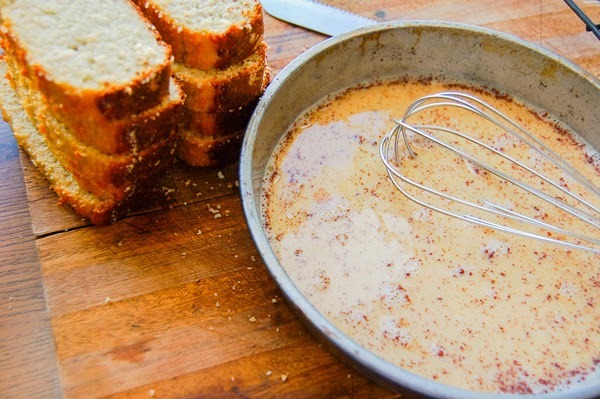 Dip both sides of your bread into the egg batter and coat evenly. Cook until both sides are golden brown. I like to add even more cinnamon on top of the bread at this point. Butter the slices, sprinkle them with powder sugar, drizzle them with honey, or make some whip cream up to top them off.